In light of the recent Dallas sniper attack, USA Network has opted to postpone its Shooter spinoff series to July 26. Downtown Dallas was rocked in the early hours of July 7 when a sniper opened fire on a cadre of police officers, killing five and leaving many more wounded. The deplorable attack occurred during a Black Lives Matter protest in the city, where Dallas citizens took to the streets following the deaths of Alton Sterling and Philando Castille in separate incidents involving police. It’s an event that only continues to send ripples across the States, and USA Network has no doubt made the right decision to postpone its militaristic TV series in fear that a premiere would be in bad taste. 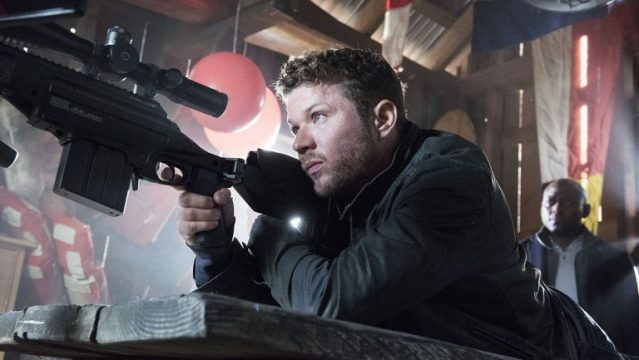 As for Shooter, it is Ryan Phillippe that spearheads USA’s live-action offshoot as a ex-Marine sniper drafted into action once more after he uncovers a ploy to kill the President of the United States. It’ll now premiere on July 26. Elsewhere on the network’s slate, Mr. Robot is set to begin its sophomore run tomorrow, July 13, followed by a dedicated live show that will present a detailed analysis of Elliot’s return.